See also our Community Group and Resources pages. Adapt your precedent documents by adding a healthy dose of human intelligence. You’ll receive the support you’d like to make the innovative changes you need. You’re a senior lawyer who has been managing a small law practice for years or has decided to take the leap and start a new practice. You see massive changes in the legal industry and are committed to adapt your practice to thrive in the future. Your precedents are creating unnecessary stress and are holding you back. Over the years you’ve come to rely on precedent documents that take too much time to use and limit the value of the services you can offer your clients. You don’t enjoy drafting documents because the precedents you rely on have been patched together over the years, there are incomplete and irrelevant clauses and formatting the final document is a nightmare each time. You’re under pressure from clients to produce documents quickly, and even then, it’s difficult to justify the billable time it takes. We’ll support you. Work with an experienced lawyer to review and update existing precedents and automate them to take your legal solution from idea to implementation. Feel more confident knowing that you don’t need to worry about the condition of your documents. Deborah Vella provides this service using human intelligence personalised to you and your law practice. I’m an experienced lawyer who has seen a lot of issues with problem precedent documents over the years. I’ve dealt with precedent documents that have been patched together over the years and I can’t even remember the number of times I’ve been given a draft document that had been half attempted by someone with more passion than ability and asked to quickly deliver something functional in a short amount of time. 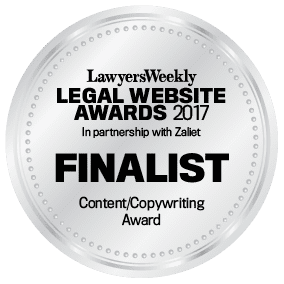 I know how important it is to have quality, customisable legal precedents that can be combined with great service to create valuable legal solutions for clients. We will have a strategy session together to discuss your goals, the scope of work required by us and a lawyer from your practice and create a plan to implement. We’ll provide the support of an experienced lawyer to work with a lawyer in your law practice to update the style and function of the drafting and develop efficient, effective and customisable precedent documents that can be used to transform your practice’s services into valuable legal solutions. We’ll either build the automated documents for you or teach you how to build them. This will depend on whether you decide to sign up for an Automio software subscription for your practice. We’ll provide support by video call, email and phone at mutually convenient times, including outside of traditional office hours. You’ll receive your updated precedents as quality, customisable automated documents that you can use to create valuable legal solutions for your law practice. These will be offered either with Support Legal branding through a client access portal or with your own branding, product descriptions and pricing through a hosted Automio subscription. If you’d like, we’ll assist you with online training for your team on how to use your new precedents. You decide the scope of work and time you’re willing to invest in your project. We offer everything you need and nothing you don’t. The services we’ll provide for your project will be based specifically on your needs and our pricing strategy reflects that. We believe that our pricing for your project should depend on the value of our services to your law practice. Don’t worry about wasting money on services you don’t need. We provide a range of flexible payment options to support your law practice. You’ll know the costs upfront and when to expect our invoices, so you don’t need to worry about unexpected expenses. We can even set up an instalment plan to make your budgeting much easier. We truly believe that quality education is invaluable. That’s why we have chosen to dedicate a proportion of our income this year to donate to The Smith Family to support their Learning for Life program. We commit to providing excellent service to each of our clients and our time investment varies for each client. That’s why we only agree to provide services to a sustainable number of clients and have limited places available for new clients. We are currently dedicated to investing our time with our current clients. Please email us to join our waitlist and we’ll let you know when a place becomes available. If you haven’t already, please also schedule a complimentary 30-minute strategy session.